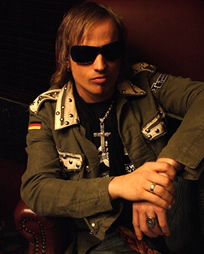 Mastermind Tobias Sammet is very busy in promoting his new rock epic "The Mystery Of Time" these days, but nevertheless he found the time to answer some of my questions. He talks about the conceptual story, musical direction, his future plans and more. Special thanks to Denys Jaime and Mark Dean for making this Interview possible! Please keep in mind, that the Interview was done BEFORE I've listened to the new album. Hey Tobias, great to talk to you! How are you? Tobi: I’m perfectly fine thanks very much. I am talking a lot which is a good sign. Straight in with the questions then. After the last Avantasia tour you said the chapter for "Avantasia“ is closed and now you are back with a new album AND tour. So what is the reason for opening another chapter in Avantasia-history? Tobi: I am a liar, arnt I ? (Laughs) No seriously it was meant to be over because I just wanted to focus on Edguy. I just thought after having finished a successful tour with a show in front of eighty thousand people at Wacken Open Air. Having just delivered a number one DVD that went to the top of the charts in Germany, Austria, Sweden and several other countries. I just felt that it was time to call it a day and focus on a new Edguy record and give that my 120 % effort into that album. That’s what I did, but after a while the album was finished and we went on tour with Edguy. I then discovered myself sneaking into the music room in my basement and working on new song fragments and being creative. I just discovered myself composing new music and being creative. 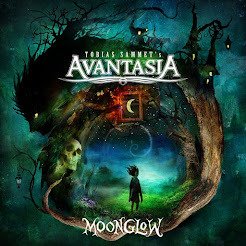 All of a sudden and after a while, I realized that this is the quintessence of a new Avantasia album. Your new album is called „The Mystery Of Time“ and again it features a conceptional story. Please, tell us something about it. effect that time has on those topics, discovers people around him running and running, burning out and he has the feeling that some external invisible force is speeding up time so it can control peoples pace. Speed it up and move people away from thinking about what is really important in life. What musicians are involved on the album, I understand that as usual on Avantasia releases there are some special guests? Is it more fantasy-story-telling like the first two records or more in this subtle style like the Scarecrow-trilogy, where the listeners had to put the pieces together by themselves? Tobi: I would say that it is a mix. There are a lot of personal thoughts in there, and some of the characters are internal thoughts, voices, ideas and inspirations of the protagonist. I would say that it is also a fantastic fantasy story. Its a mix of both, in general the album to me seems much more like a conceptual piece than the last 3 previous records. When it comes to it being a conceptual rock opera piece its closer to the first two I would say. Where do you get your inspiration from to create the musical pieces on your records? Does it come from reading, or maybe something else? Tobi: I think that the biggest inspiration is just if you go through life with open eyes and just write about it. It has the highest value for me from a philosophical standpoint if you write about whats in you, how you perceive the world around you. Not so much about watching a movie, and saying “Hey I’m going to write a song about this“ This is really dull ,it can be funny at times if you write about Robin Hood for example. It can be a lot of fun to do those kind of things. 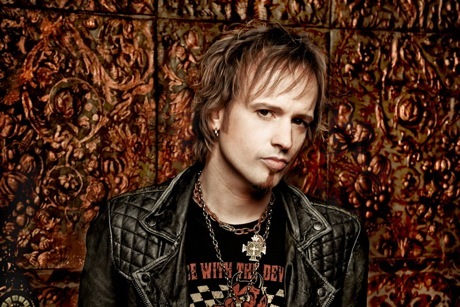 In general when it comes to Avantasia , and meaningful lyrics I don’t want to read a book and write a song about it. I just don’t want to write about a novel I don’t want to reproduce something that someone has done before. I just want to write about what I really care about myself. Some people say you changed your musical style too much in the last 7 years. On the cover artwork to the new record we see the line A Rock Epic“ (no „Metal Opera“) and also guest musicians like Ronnie Atkins, Joe Lynn Turner or Eric Martin are signs that the new album goes more into the Hard Rock direction, than Power Metal. Sound wise, what can we expect from ”The Mystery Of Time“? of a song. When you take an early album,we also had songs like “Sign of the cross”, ”Avantasia” and “Farewell”. Those kind of songs are not necessarily considered to be speed metal. Nowadays we have different ways to make those type of songs, and produce them in a different way. I think that is a very subjective perception, if you say that we have changed over the years. To cut a long story short “The Mystery of Time”, has 5 uptempo songs, we have 5 double bass songs, we have choirs, a full orchestra. If that qualifies to be a heavy metal record then it is a heavy metal record. I read there will be a second part of „ The Mystery Of Time“. Is the story already completed in your mind? When can we expect part two? Tobi: Definitely, there will be a part two, because the story has to be finished. How the story will go on I have no clues yet. The journey is the reward, the quest is the purpose. I just do the record that I have done now, I will relive it and then I will focus on Edguy. Maybe in four or five years I will go back to “The Mystery of Time Part 2". With the departure of Jorn Lande, was it important to keep Avantasia fresh with new musicians? Who will take his place on stage as there were many Jorn songs on the last 3 records? English show at Bloodstock, its a different lineup there. The thing is Jorn is a great vocalist, an amazing singer but he didn’t want to do it. I asked him but he was so busy having other things on his agenda. It wasn’t a decision of mine to bring in others. Of course the record is very diverse and we have some vocalists on there that you would not necessarily expect. I am really happy with “The Mystery Of Time” and how the album turned out to be. Of course for Jorn I would have found a slot, but he didn’t want to go on tour and he had other plans. It was entirely beyond my decision and power. Have you heard from the „ New Metal Opera“ of Timo Tolkki‘s Avalon (feat. Michael Kiske, Sharon Den Adel, Russell Allen, …)? It’s nearly the same concept like Avantasia has, even the title is very similar. Is this annoying to you? Lots of people will compare Avalon this year with your new album. Tobi: There are a lot of metal operas out there, and I have to deal with that. If something is very successful or even not successful then other people may feel inspired by it. It's Timo Tolkki (laughs) what can I say, he is a great guy and he does what he does. I wish him the best of luck. 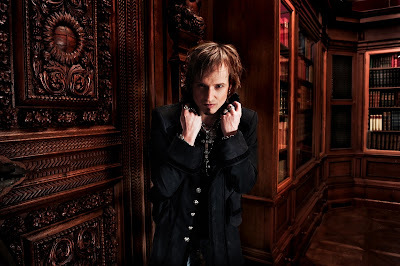 There will be a big world tour from Avantasia. Are there any surprises on this tour, maybe a new stage design or something like that? Have you ever thought about bringing some kind of rock-musical on stage, based on one of your stories? I mean with real acting, different stage sets and so on. ? don’t think about anything else and I don’t have a vision to do anything else. I can say that our stage will look pretty impressive, but the focus will still be on the vocalists. We could come up with a lot of fireworks and big pyros and big stage buildings and monsters. The thing is we already have the best gimmick in the world. Unlike so many other bands we have seven or eight lead vocalists on stage for one show. It would be stupid to distract from that. 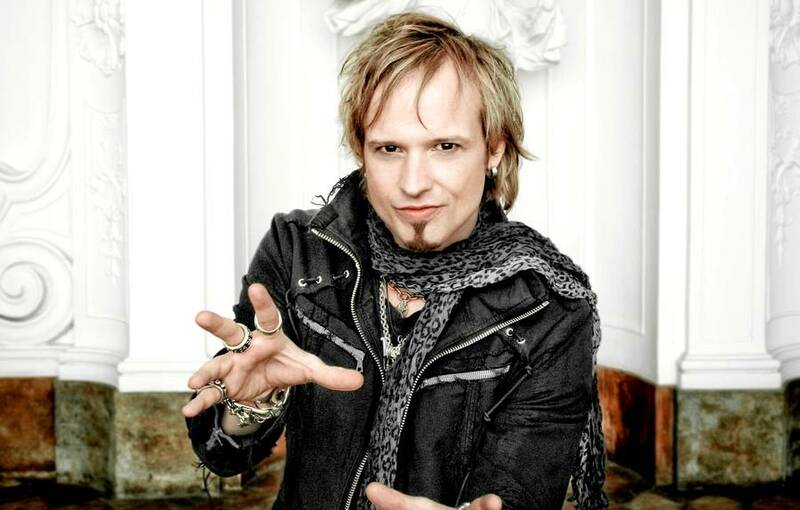 Your main-band Edguy is also a well known Metal act, even outside the genre. Is it hard for you to be successful with both bands and switch between them, especially when it comes to songwriting? Tobi: No not really, because I have that work ethic where I want to give 100% to whatever I am doing. Whenever it's time to work on a new Edguy record I do it with all of my power, all of my energy and all of my heart. The same for Avantasia. I never work at two things at the same time. I perceive it more as a blessing much more than a curse or a burden. I am a member of one of the most successful heavy metal bands from Germany in the last twenty years. At the same time I have this wicked side project giving me the chance to work with the musicians that I am a huge fan of, or have been a huge fan of for years. To be creative on a second field it's just a blessing, and I’m really thankful for having both. You will not hear me complain about that. Just finally have you any musical goals left that you would like to achieve? Tobi: One day I want to play Madison Square Garden as a headlining act in New York. That’s a long way off, and I seriously doubt that will ever happen. If a fairy came to me and said to me "Ok I'll grant you a wish" (laughs) no that probably wouldn’t be enough. If she was to grant me ten wishes it would probably be 1 of those. If you ask me again I would say pretty much no-I just want to stay healthy and just play music that I love. Tobi, thanks for taking the time!